Bulletstorm - New unique first-person shooter from the developers of Gears of War and Painkiller. Epic Games, People Can Fly and Electronic Arts - a first-class action movie, in the game process of which the concept of "Kill masterly" is implemented. The game takes place in the world of futuristic utopia, where peacekeeping troops seek to stop the civil war. Due to the betrayal of the command, the two fighters of the Dead Echo squad become outcasts. In the role of Grayson Hunt, the player will have to master combat techniques with a unique weapon and score points for particularly successful killings - this is the innovative Skillshot system of the Bulletstorm game. 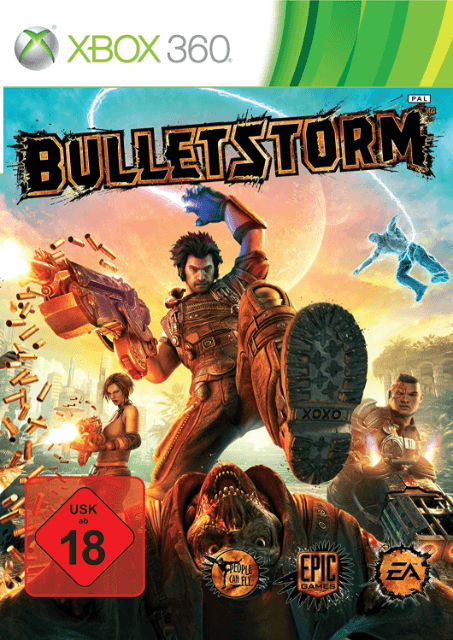 Bulletstorm is waiting for you!